There is nothing quite like the lure of winning a progressive slots jackpot, and when the jackpot reaches the astronomical heights of €11.7 million it certainly does get the gaming community excited. The anticipation that somewhere, someone will win such a life changing amount of money is unrivaled. That somewhere happened to be Betsson.com and that someone just happened to be a student from the Norwegian community of Hordaland. The record jackpot would be enough to leave anyone shocked at the prospect of having just won €11.7 million and it was no different for the 20-year old student. “It was just impossible to sleep, and I am shaking and sweating. I haven't thought about what to do with the winnings. I need to try and calm down before even thinking of what I do with the money!” the Norwegian man told Betsson.com. Apparently, after watching a late night movie, the young student took to his computer to use free spins which he had previously earned playing at Betsson Casino. 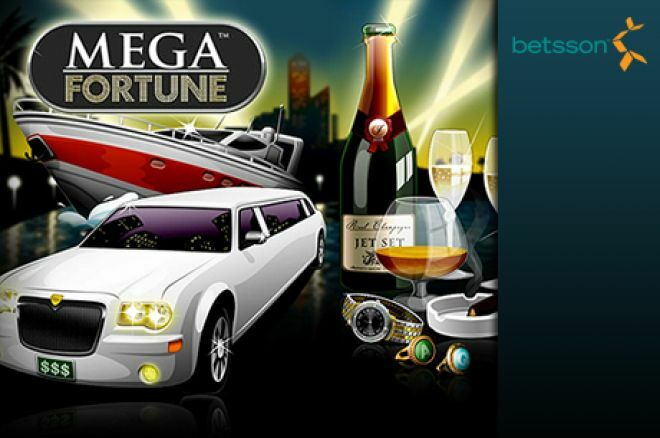 He decided to sit at the slot machine called Mega Fortune, a game which offered the enormous progressive jackpot. The man, who usually spent his time at the Betsson Sportsbook, ended up making the decision of a lifetime when he sat at the slot machines, as the life changing jackpot went off and the player pocketed €11,736,228. “Not even in my wildest fantasies did I ever think I would win that €11.7 million jackpot, but it has happened and I am over the moon about it,” the student told Betsson.com, who have offered to direct the man to independent consultants for help through expert financial advice. This jackpot is also available on EuropaCasino. EuropaCasino is one of the featured casinos of CasinoGrinder.